As companies fight for top talent among millennials, companies are constantly offering new perks to lure young professionals in. Many studies will show that Generation Y cares about cool and fun office perks while others suggest the contrary. In any case, Coffee is an inexpensive perk that most employers offer and shows their employees they care about their work environment. Millenials love Coffee, and more recently have fallen in love with Cold Brew. 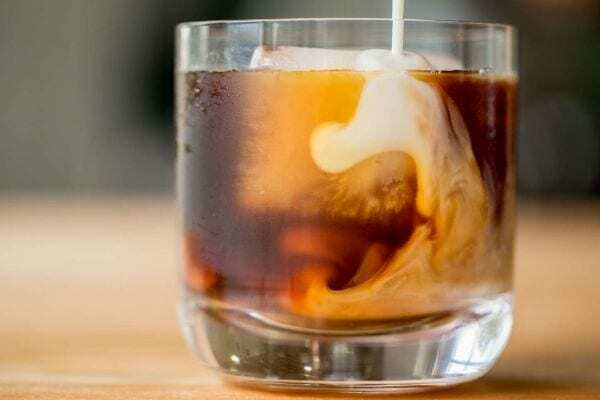 Undoubtedly Cold Brew Coffee has been the hot item in the coffee world over the last few years. Some experts even argue that this is going to be the savior of the industry. The research firm Mintel reported that cold brew sales were up 115% from 2014 and 2015 and reaching a revenue of 7.9 million. Mintel also expected an increased total revenue of 38 million while representing 137 percent increase from 2016-2017. Lastly, according to the 2018 National Coffee Drinking Trends Report from the National Coffee Association, 10% of coffee drinkers reported drinking cold brew daily last year. Most of the growth has occurred in the last few years which makes experts think that this is the next disruptor of the coffee industry. But What is Cold Brew? Cold Brew is not the same as traditional cold coffee, which is essentially hot coffee poured over ice. It as actually brewed differently as well. While a coffee maker generally filters hot water through a pad with coffee grounds, Cold brew is made when coffee grounds are soaked in cold water from anywhere from 12-24 hours. Why is Cold Brew important? Cold Brew was a pretty niche market until 2015 when starbucks introduced the drink to some of its stores, but now are available at each one of the 13,000 locations in the US. With increasing popularity, it is a perk of an office that many millennials enjoy, and it is a way for employers to attract top, young talent in the workplace. If you are in the Phoenix area and want to revamp your coffee services, learn more about PROformance Vend USA Coffee Service!